After you have an incredible day at the Lake Apopka Wildlife Drive, then learn that you missed seeing the Cinnamon Teal, you want to go back. Luckily for me, last Sunday was another beautiful day, and I enjoyed a return trip to the drive. Some days you see a ton of things. Some days you see less. Maybe LAWD is like a box of chocolates – you never know what you’re going to get! I sat at the Lust Gate entrance for a while hoping to see the Ash-throated Flycatcher. I didn’t. It was breezy and a lot of the birds were lying low. 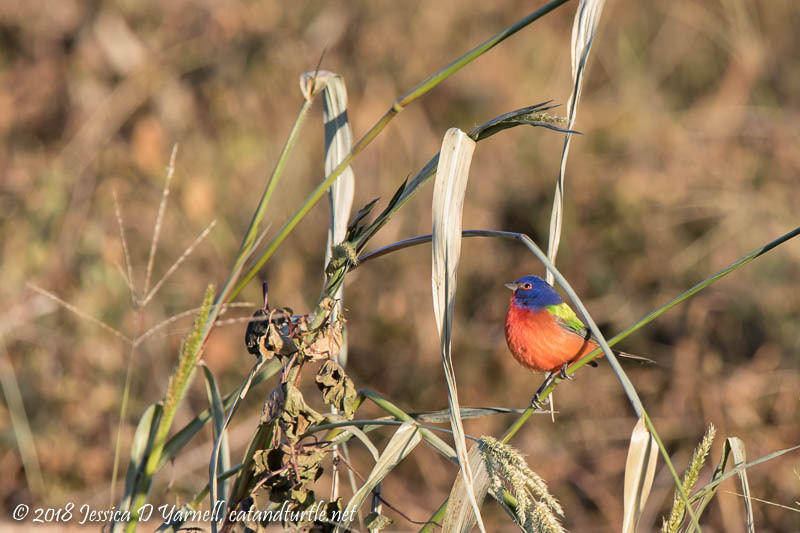 Then I spotted a flash of bright red across the canal as a male Painted Bunting flew in. He perched in the grasses for a while and I thought it was great to get a photo of him in a natural habitat. Then I noticed he was sitting on a millet plant. No wonder he looked so happy! A Killdeer flew in with a flourish. Kill-deer! Kill-deer! was his call. 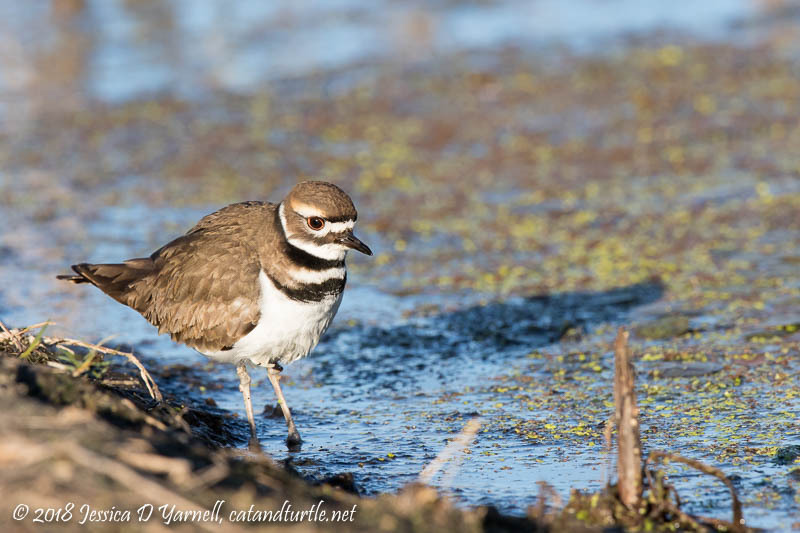 I’ve been seeing lots of Killdeer at the wildlife drive since it reopened. This bird was especially cooperative. He flew into the nearby canal, stood in good light, and started walking toward me. All I had to do was wait till he filled my frame. 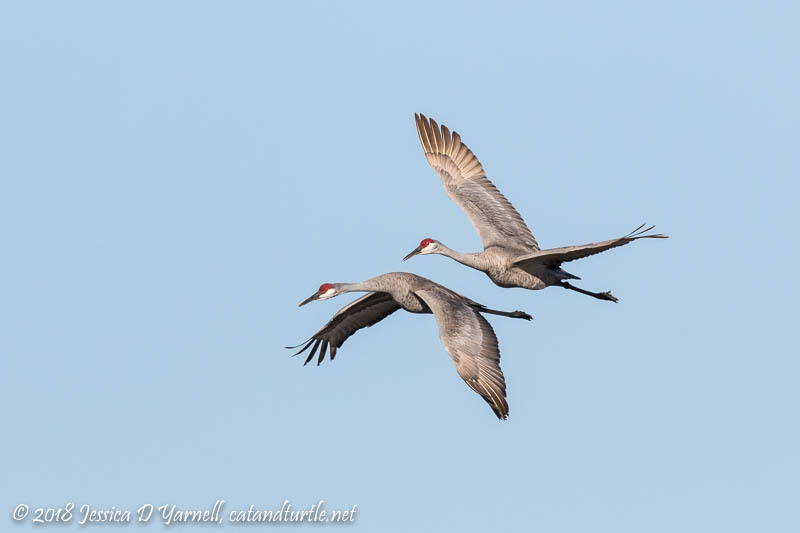 As I drove off down Lust Road, I heard the call of Sandhill Cranes and had just enough time to hop out of the car to photograph these two as they flew calling over the marsh. Pretty soon it will be time for them to think about nesting and laying eggs. My favorite time of the year is just around the corner! I spotted the Vermilion Flycatcher at her customary far-off spot. It was chilly and breezy, though, and I didn’t spend much time watching her. 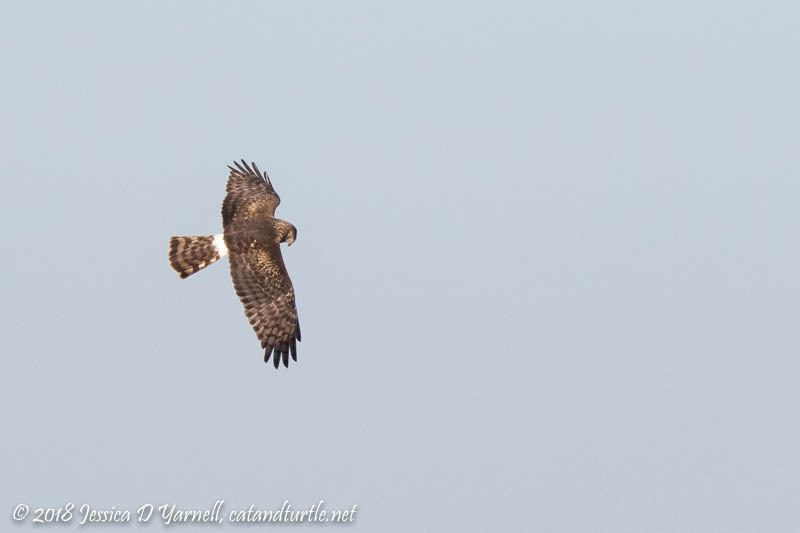 I did spot this Northern Harrier flying in the distance. I want a better close-up flight shot of this bird. There’s always a reason to go back! Alas, when I got to the location where the Cinnamon Teal had been sighted the day before, it was full of birders but no teal. I stood watching for a while, doing my own inventory of the ducks. Oh well. There are tons of marshy habitats that just aren’t visible from the road. Maybe the teal will come closer on another day. 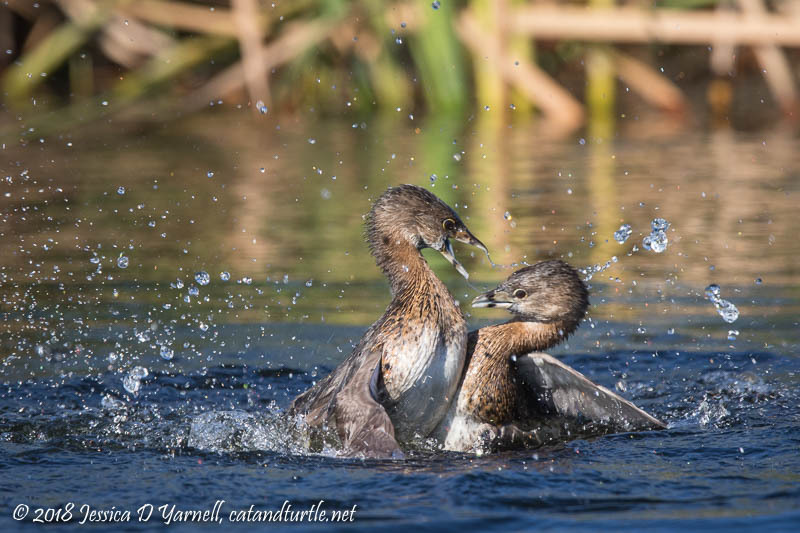 On my previous visit, I had noticed a pair of Pied-billed Grebes starting a nest. They even did a change of the guard, except when the second bird got on the floating platform, it sank! Then they added more twigs and leaves. So on my next visit, when I spotted two grebes seeming to fight with each other, I had a suspicion that they were courting. It looked painful. Lots of splashing and holding each others’ necks with their beaks. I can’t wait for Grebe Baby Season this year!! Can’t wait for spring but I don’t want to rush the good opportunities out there now. Love the grebe image.